When you are ready to invest in replacement windows and doors, choosing a contractor is the most important decision you can make. Selecting an experienced, knowledgeable contractor will improve the outcome of all other important decisions during the project. How Much Industry Experience Do They Have? How long has the contractor been working on replacement windows and doors? A lack of experience could result in a negative outcome for your home. You deserve to work with a team that understands the best practices so you can receive the highest quality service available. For example, consider the quality of service from a reputable contractor compared to someone who is new in the market. It is possible that you receive high-quality service from both contractors. But you have a stronger guarantee of such when you hire an experienced team. The new contractor might miss a few things because of lack of experience, resulting in a lower quality window installations. Here at Masonry & Glass Systems Inc, we are proud to share over two decades of experience with our customers. Our company is in the 4th generation of ownership, giving you access to a highly qualified team. Can You Find Online Ratings for the Company? Check online to see if you can locate reviews about the window installation company. Look at reputable websites such as Angie’s List and the Better Business Bureau. These ratings can give you the peace of mind that you are working with a company that keeps its promises. By reading the reviews, you can learn more about the quality experience you can expect. A long list of satisfied customers means you will have a higher likelihood of being satisfied as well. Is it Possible to Schedule a Free Estimate? Before you make a commitment, you need to talk to the window company to see if their services are a good match for your preferences. Here at Masonry & Glass Systems Inc, we are happy to schedule a complimentary consultation for you. During this appointment, we will inspect your current windows and help you choose replacement solutions that will be the best fit for your family. Our goal is to understand your preferences so we can deliver the best products to meet your needs. At the same time, you will have the opportunity to ask your questions and learn more about the options that are available. We want to make it as easy as possible to improve the quality of your home! Estimates can be confusing because some contractors provide a deceptively low estimate to bring customers in the door. Then, additional fees and costs are added on before the project is finished. Also, you need to know the quality of materials you will be receiving for the price. The goal should be to maximize the value for the money you are spending. 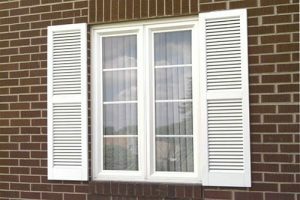 Even if you aren’t ready to move forward with replacement windows for your home in Kirkwood, MO, you are welcome to talk to us to learn more. Our team at Masonry & Glass Systems Inc. offers a no-pressure environment, allowing you to learn about the products without feeling pressured into making a purchase. We are more interested in building a relationship with our customers rather than “closing” the deal during the first appointment. It takes time to determine your budget and pick the products you want to install in your home. We encourage you to take the time necessary to do your research. We won’t try to stop you from getting other estimates. Our ultimate goal is to make sure you are comfortable working with our team. So feel free to do the research that is needed to help you make your decision. Are you ready for more details about how your Kirkwood, MO home will benefit from replacement windows and doors? Contact us at Masonry & Glass Systems Inc. We have a convenient showroom at 1503 S Kingshighway Blvd St. Louis, MO 63110. Call us anytime to schedule an appointment for a free in-home consultation with our team: (314) 535-6515.